A letterbox hybrid cache celebrating the village sign in Kentisbeare Square. I have been very kind to you lot with this one - you have a choice of how you find the cache. If you prefer multi caches or if you want to see the village sign in the flesh, then this is probably the one you'll pick. At a bearing of 80º, there are F circular 'barrel' flower planters outside the post office doors. At a bearing of 0º is another telegraph pole/lamp post. At about the height of the house it is situated next to there is a number written in black. This is G.
If puzzle caches are your thing, then you will probably pick this one! Use either this link to Streetmap (Make sure it is zoomed in to 1:25000) or your own OS 1:25000 map, and answer the questions below. You may find this helpful. Not a question, just an interesting feature. If you travel south a bit you will find Kentisbeare House. In the grounds are two lakes, which on the map I think look similar to the UK. What do you think? Please make sure you rehide it properly and make sure the lid is secure before replacing. Obviously, because it is a hybrid, in the cache there is a stamp. DO NOT REMOVE IT! PLEASE REPLACE EXACTLY AS FOUND. NO SPOILERS IN LOGS OR IMAGES PLEASE, OR THEY WILL BE DELETED. 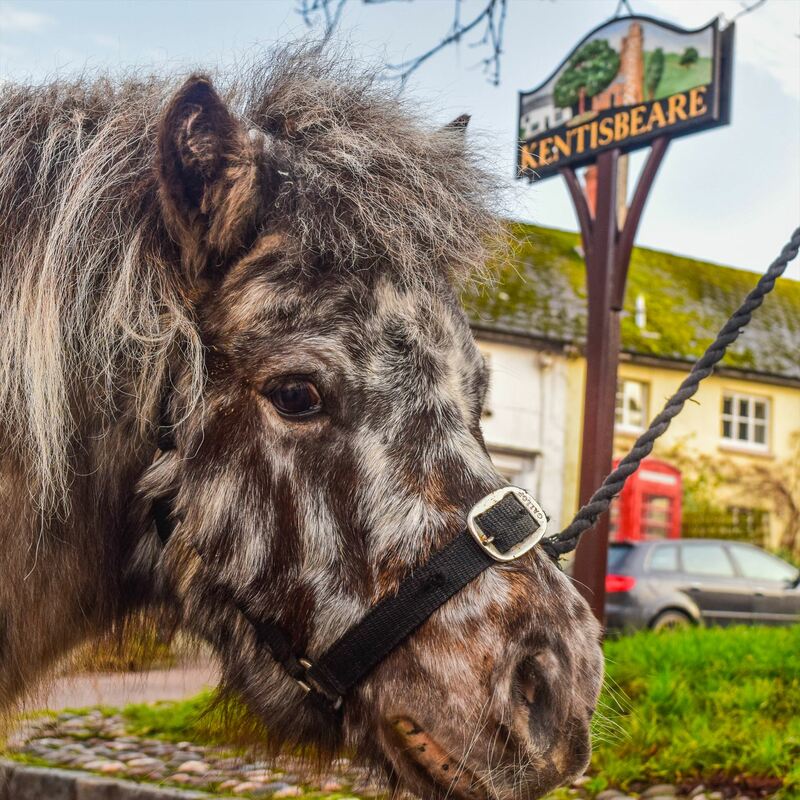 Kentisbeare is a small village situated about 2.5 miles from Cullompton and the M5. The River Ken flows through the village, and in the winter we often get bad flooding as a result of this. In the village square there is the pub, church, shop and post office, and just down the hill is the school. There is a Woodland Trust property to the west of the village, which is where all the villagers seem to go (they all seem to go at once as well) to exercise their dogs. First Consecrated in 1259 it is Grade 1* listed. The chequer board stonework in the tower is unique in Devon and the 15th century Rood Screen is thought by many writers to be the finest in Devon. Untouched by the restorer's hand, the paintwork and gold leaf are now 600 years old. There is a peel of 6 bells in the tower which are rung regularly before services and at weddings and funerals. Their sound and quality of ringing attract may visiting teams of ringers. In the 17th century the manor of Kentisbeare was owned by Sir John Wyndham (1558–1645) of Orchard Wyndham, Somerset. This is where the village pub's name originates from. There are about 900 people living in Kentisbeare (one of which is me! ).